The use of the internet is increasing at an astonishing rate. An article from The E-Business and Internet Technology Network’s website reports on a recent survey by the market research firm INTECO Corp. "108 million adults, or about 55 percent of the US adult population accessed the Web during the last three months of 1998. INTECO estimates that 40 percent of US adults accessed the Web in the first quarter of 1998" and during the same period "35 million US adults 18 and over placed orders or made reservations online." The internet is a worldwide network of computers - linked primarily by phone lines - and the hardware and software that allows them to communicate with each other. The email and World Wide Web functions are its most widely used features. Email provides almost instantaneous, cheap and easy communications between internet connected computers anywhere in the world (newsgroups, list servers and chat boards are email-like variants that allow people to get together electronically to "discuss" particular subject areas). 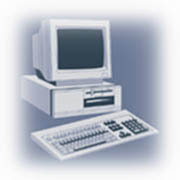 The Web allows a website made up of text, data, graphic images, animations and sounds stored on a computer called a web server to be accessed by other properly configured computers connected to the internet. Electronic commerce - business conducted over the Web - is growing at a more rapid rate than the internet itself. Today almost anything can be bought on the Web. The list includes automobiles, music, books, research services, fresh and frozen foods of all types, computer hardware and software, clothing, jewelry, flowers, hotel accommodations, airline tickets, and on and on. The internet has also become an invaluable business tool. It allows the secure sharing of data and communications between computers separated by tens of thousands of miles as effectively as if they were on adjoining desks in the same office. And the ease with which literature research can now be accomplished - particularly by those of us who spend a lot of time wading through various kinds of books, articles and reports - is truly amazing. As an example, it took me less than five minutes working with one of the Web’s specialized search engines to locate the article on internet use that I took the quote I opened this column from. It’s hard to imagine a subject so obscure or an item or an activity so rare that a few minutes of searching won’t turn up reference or two, at the very least, on a page somewhere on the Web. In my view, most importantly for anyone involved in the domestic fish and seafood industry, the Web is becoming an increasingly important mechanism for influencing public policy. With an almost total lack of controls and with no system of content review, it’s not at all difficult to post inaccurate, misleading, distorted or just plain wrong information on the Web in a way that makes it appear authoritative. From there, it’s a short step to get whoever reads the misinformation mistakenly riled up with what was posted and have them bombard elected officials or bureaucrats with torrents of email, faxes and phone messages demanding that immediate action be taken. Chat boards and newsgroups that are used by particular groups seem to be most prone to this kind of activity. I’ve seen it happen several times when segments of the commercial fishing industry were the targets and I’m afraid that it’s bound to continue. While I’m not aware of any formal research that’s been done on the subject, it seems to me that the fish and seafood industry is lagging behind the general population in the degree to which it utilizes the internet. One of my goals, and the primary reason for this column, is to try to change this. Obviously, tactics that have been used against the fish and seafood industry can also be used for it. There are tens of millions of people in the US who log onto the internet every day. When it comes to commercial fishing most of them have no ax to grind, and when it comes to seafood most of them are enthusiastic consumers. Individually we can reach some of them - the New Jersey Fishing website is getting about 300 visitors a day - and let them know what’s really going on. With a little coordination and cooperation we can reach a lot more. If you haven’t yet ventured into cyberspace, give it a try. When you’re familiar with the internet, or if you are already, look around for some of the news groups or chat boards that discuss food or restaurants or consumerism. Join in, get accepted by the "regulars," then occasionally shift the focus to what’s really happening in the seafood industry. You might be pleasantly surprised by the results. Along with a lot of extremely interesting information on the work being done by the researchers at this world class institute in New Brunswick are genuinely useful and up-to-date sea surface temperature charts and other type of oceanographic data. While much of the concern with Year 2000 computer problems seems to be overblown, the Coast Guard is taking possible effects on marine electronics seriously enough to maintain a website on it. This article by Janet Raloff in the January 30, 1999 Science News provides a lot of ammunition to those of us who don’t buy into the specious arguments that fishing activities are the major threats to the world’s oceans.